You need to pass the TrackTest English exam to have this optional feature available. You can order a hard copy certificate by post as an optional service when you successfully complete the English test. 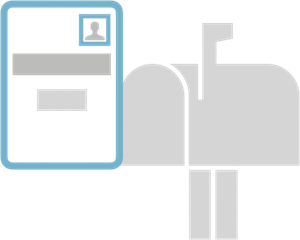 TrackTest sends the certificate in the A4-size envelope as a registered letter within 6 days from the date of purchase. Standard delivery times apply (4-7 days for the shipments to Europe, 6-13 days for other regions). You can monitor the status of your delivery via the Track&Trace feature. 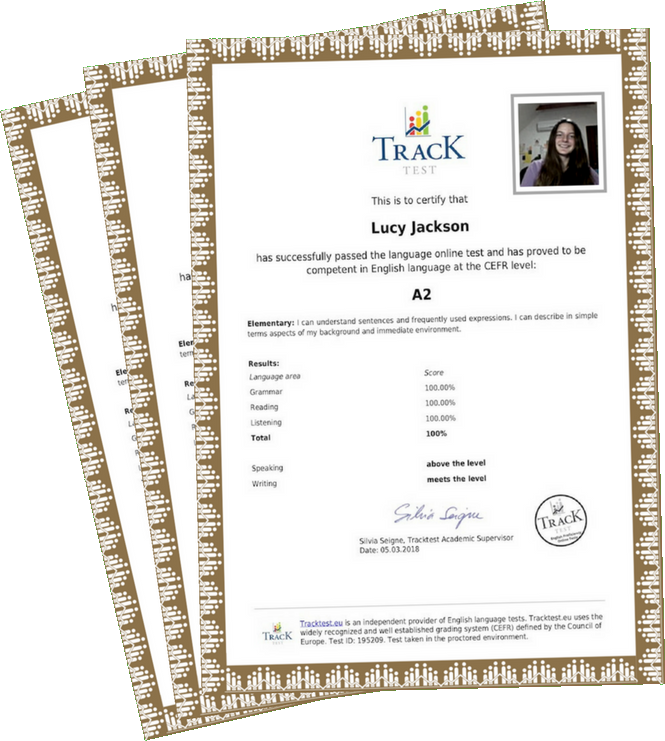 TrackTest English paper certificates are printed on the quality light beige paper with the color TrackTest logo and debossed stamp. Borders of the paper are framed by golden TrackTest logo-inspired design. Each certificate has the Test ID number so its validity can be checked in the Tracktest online database. You define the shipping address during each order so you can get the certificate shipped to your home address or directly to the address of your school admission office or employer.